Parents of teenagers know this: it is difficult to get them motivated. It is difficult to motivate them to get out of bed in the morning, to do chores around the house, much less, to read their Bibles or serve in the church. After pastoring teens for 3 years, I’ve come to find one of the greatest motivators, THEIR PEERS. When a teenager sees another teenager on fire for Jesus, it makes a great impact! They become motivated/excited to live on fire for Jesus too. It’s contagious. This Changes Everything is a burning coal in the fire! It is authored by an 18-year-old teenager who loves Jesus and knows how to articulate it. Jaquelle Crowe writes clearly, biblically, and practically. Her goal, as she states from the very beginning, is to encourage fellow teenagers with the transforming gospel of Jesus Christ. The gospel transformed her life! She writes thoroughly through every category of life and talks about how each one is changed by Christ: Church, Disciplines, Home, Time, Relationships, etc. 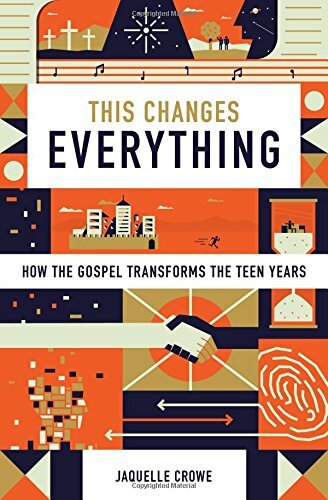 Teenagers need to read this book and see how Jesus transforms the teen years, in every way. They need to hear, from another teen, that living for Jesus is possible. It’s not just possible, it’s an ALL LIFE SURRENDER that results in heavenly reward and blessing. This book is helpful, not only for the teenager, but I encourage parents of teens to read too. This would be a great book to read along with your teenager. There are application questions at the end of each chapter that will provide heart to heart conversation. Don’t miss out on this book! This is one that I will be gifting regularly in the coming years.